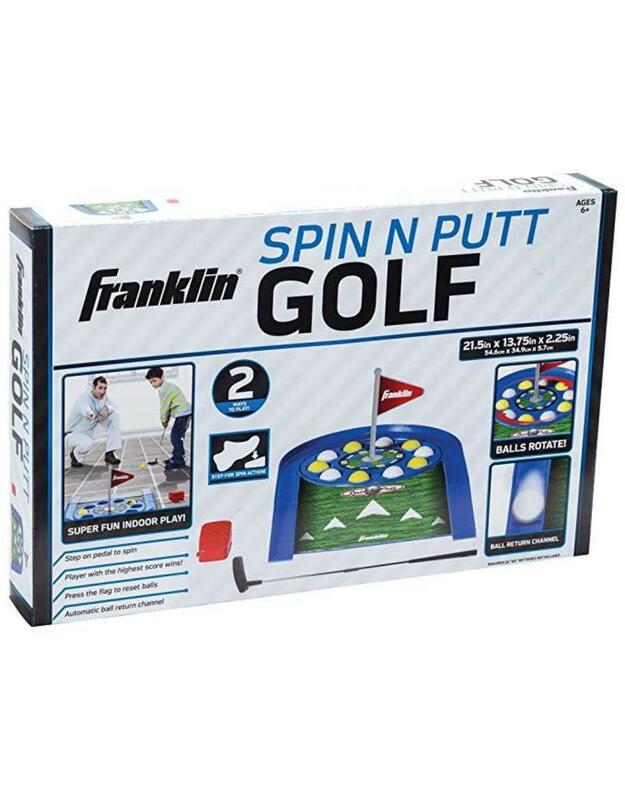 Get ready for some fun with the spin N putt game from Franklin Sports. It takes the traditional putting practice game and puts a fun "spin on it", literally! one or two player play. Use your skill and luck to score big. If you miss the ball it will automatically roll back. Reset the game by pressing the flag to play again.